then it seems that this machine is a super-MSX2 with digitizing (like NMS8280 or HBF900P) , stereo samples and MIDI !!! I didn't know that such thing was created ! 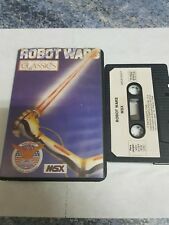 Should it not be mentioned in the MSX Faq ? Hehehe, this is a home built thing. It's composed mostly of MSX computers. It has been discussed in some issue of MSX COmputer Magazine. Btw: it's a transputer: at least 2 MSX machines coupled together, of which one is a 8280. THey also added some home made hardware like the stereo sampler. HUH?! What da fook is this?!? Interesting! o.O is that Ray Cokes in the videosample? But, this is indeed surprising. 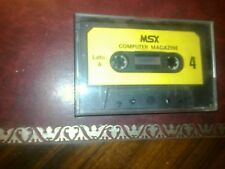 I have never heard of this MSX computer before. Does it really exist? Is there anybody who actually -has- one? Time for a thorough investigation! snout: as I said, check your old MCM's! One of the last Wammes-MCMs covers it. There's only one of this machine. Jup, I can confirm the latter. 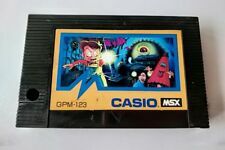 It is a fan-made MSX, mainly made of MSX components. Iirc there are also other components included.